The healthy holiday for you and the environment! Our packages include complete set up and pack down of your campsite (pitch & pack) and everything needed to cook, sleep and eat including your own private toilet and shower. Some call it Glamping , we call it the ultimate in real traditional camping. We offer optional extra’s to customise your campsite even further including meal packages and fresh seafood platters delivered to your door. Unlike caravans and campervans we are the real thing. Real camping. We offer an experience like no other, where the accommodation is also the entertainment. We are environmentally friendly, carbon neutral and 100% purely Australian. 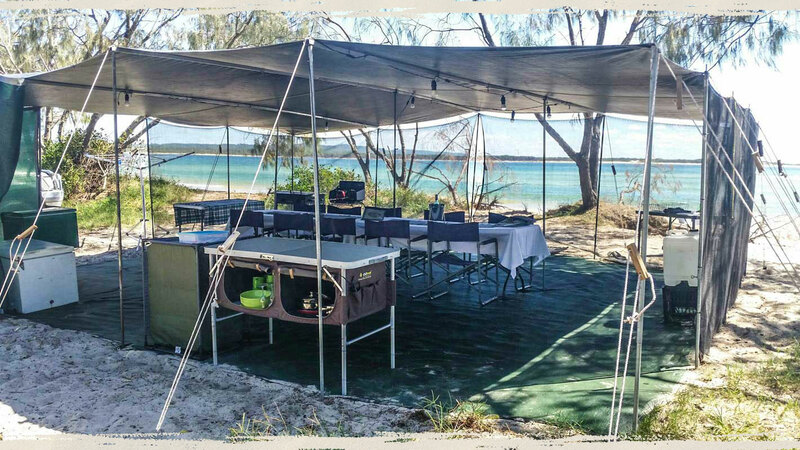 We also offer DIY camping equipment hire for those travelling to Fraser Island – rent a tent. 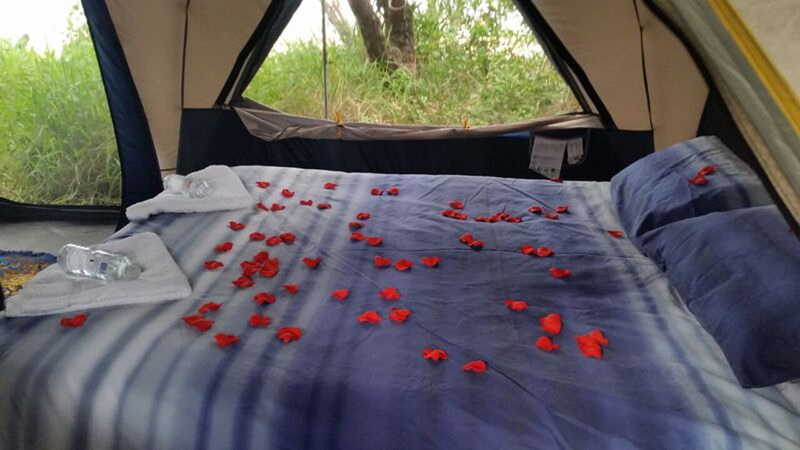 We provide unique beach camping accommodation. We operate primarily in the Protected Area of Inskip Peninsula, setting up our camps as needed and packing them up when finished. We really leave minimal footprints. Forget 5 star, you will see multi stars from the best seat in the house. This camp is suited for 1 -12 people. Tents are configured to suit you. Parents can have their own double bed and kids can have a tent right next to them or maybe you’d prefer everyone in the one tent. With the use of bunk beds (ages 13 and under) we can have a maximum of 5 beds per tent. This is what we call our Supercamp and is suited for up to 20 people. It really is the penthouse of camping. With separate dining and kitchen areas there is plenty of room to move. 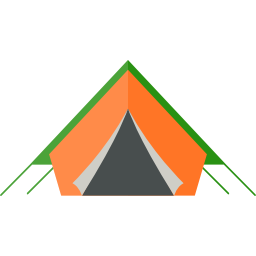 A maximum of 7 tents can be provided with various configurations. There are many local tours and activities to enhance your holiday even further. Day trips to explore Fraser Island, Deep Sea fishing charters, Dolphin feeding, Sunset cruises, Horseriding, Skydiving, Surfing, Sea Kayaking, Whale watching – Rainbow Beach has it all. Rainbow Beach in the Sunshine coast is completely surrounded by National Parks with a spectacular protected camping area, Inskip Peninsula. 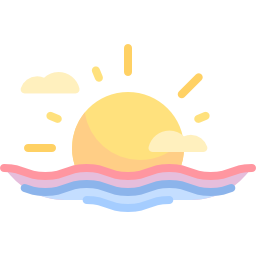 As our name suggests, Rainbow beach is a beachside town. QPWS manages our surrounding National Parks. We are a popular launching pad for visiting Fraser Island. We have many options to choose from when deciding where to camp. These choices can be broken down into 3 categories; Inskip Point, Double Island Point/Teewah Beach and Fraser Island. Surrounded by National Parks and stunning beaches, the Inskip Peninsula Protected area overlooks World Heritage Listed Fraser Island and the Great Sandy Biosphere. Famous for beach camping, the Coloured Sands, and the Carlo Sandblow, Rainbow Beach is just north of Noosa on the Sunshine Coast. There is a high demand for some camping areas so book early to avoid disappointment. We have set about removing the barriers from experiencing camping. For those who love camping but not setting up and packing up, need never to worry again. For those heading to Fraser Island, you can hire your 4WD in Rainbow Beach and pick up your camping equipment on your way through to the barge over to the Island. Our Women’s Nature Retreats connect YOU with your environment and Mother Nature. We encourage environmentally sustainable travel and re-connection with nature from the ground up. We are healthy for the environment and your team. 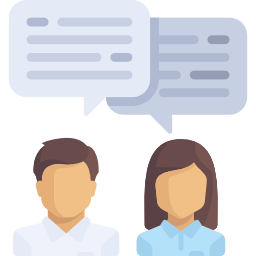 We help your corporation be environmentally responsible. I hate camping AND my husband has a bad back so there was no chance that we were going to tackle Inskip, that was until we found Rainbow Beach Hire a Camp. Settleing in took 10 mins, beer & champers in hand and the kids happy (not the usual set up). Cassie is an angel and nothing is a problem! She even bought hot water in the afternoon for us to have a shower! Very happy campers!! Thank you so much for all your effort in setting up our camp. We have all had an amazing time. Declan wants to stay for 10 more nights, we plan to do that some day. Thank you again. We have enjoyed the most fantastic honeymoon at Inskip, our honeymoon ‘suite’ was beautiful, so much more than we expected, and all of Cassie’s little extras made the whole trip so pleasurable and very easy with children. The set-up was first class. We highly recommend their services to anyone. We’ll be back. “These guys are all about providing eco-friendly accommodation. They will set up and pack up your mobile hotel without leaving a trace. You don’t have to sacrifice luxury though, given your own shower and loo is part of the service. 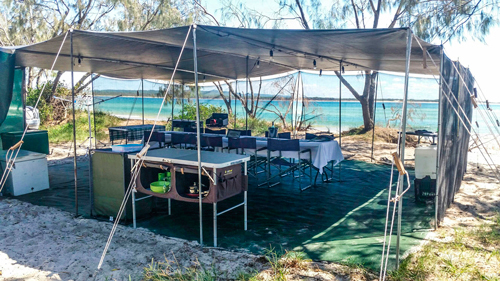 “While you won’t find a personal butler at this glamping site, Rainbow Beach Ultimate Camping makes this list by taking all the pain points out of camping. 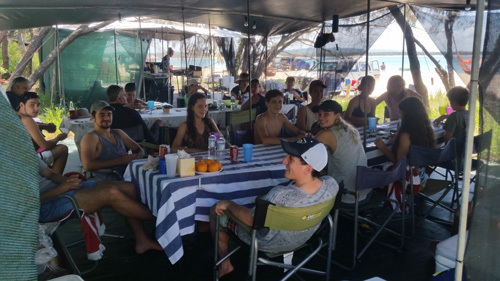 Take up a ‘pitch and pack’ option from Rainbow Beach Ultimate Camping, and a group of camping specialists who call themselves Campingologists will “pitch and pack” your campsite for you. They’ll provide a beachside location for up to four people with tent, stretcher beds, chairs, table, gas stove and bottle, esky, barbecue, water container, crockery and cutlery.